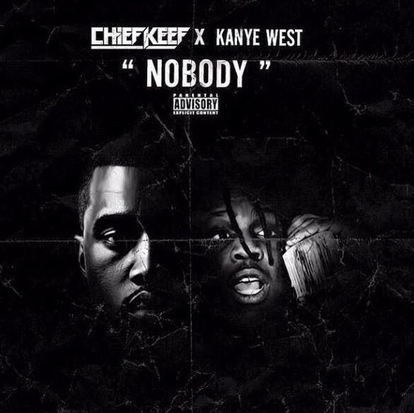 A few weeks ago Chief Keef went to Instagram to give everyone a preview of his collab with Kanye West entitled “Nobody.” Now he gives us the cover artwork and although simplistic it shows the different sides of the artists. Kanye has his famous serious look and Chief is flashing money like always. This track should be dropping soon and honestly it needs to hurry! Stick around everyone.